Melbourne Accountant welcomes Bookkeeping Accountants , please find below a selection of accounting providers in your local area. 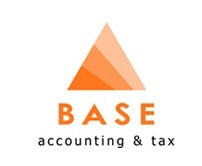 Base Accounting & Tax Pty Ltd was formed in 2006 and has offices in Eltham and Melbourne CBD. We provide the added flexibility of being mobile, where we can work on-site at your business premises. The principal, Justin Penkethman CPA, has over 20 years experience in accounting within public practice and a variety of industry sectors. Being a small accounting practice, we cater for businesses who prefer dealing directly with their accountant. The accounting practice commenced in 1965 when John Donegan decided to branch out on his own. Over the course of nearly 5 decades the practice has helped thousands of clients from all walks of life with their taxation and accounting needs. A large number of those original clients from 1965 are still being serviced by the practice as are their offspring. We have seen generational change and legislative change over time but still strive to provide “old-fashioned” personal service. Today the practice comprises experienced professionals who service the needs of a diverse client base ranging from western district farmers to suburban hoteliers and commercial photographers. In 2012 we launched an additional complementary service for our clients with the establishment of Donegan’s Wealth Advisers. APS Tax, Accounting & Business Services can take the stress out of keeping your financial records and lodging your tax return. Whether you need to lodge an individual, company, trust or superannuation return, APS Tax, Accounting & Business Services can assist you. TWB Chartered Accountants was founded in 1968 and has traded continuously in the Chadstone area of Melbourne. Since inception our goal has been to provide the highest quality of Professional service possible to our clients with our dedication to knowledge and training being the most integral part of our success. With our extensive experience, our Professional staff will provide our valued clients with technical and practical planning support to enable them to "prosper through knowledge". As a full Tax and Accounting Practice, we offer traditional accounting, business and audit services to small and medium businesses, small listed companies, overseas owned subsidiaries and high net worth individuals. We pride ourselves on being dedicated to our clients needs and businesses. The team of specialists at Rubin Partners is dedicated to helping you achieve your financial goals, streamline your business operations and manage your future prospects. For two decades, the firm has been working with individuals, partnerships, joint ventures, companies and trusts throughout Australia and internationally. Rubin Partners offers the full spectrum of services including structuring, tax planning, budgeting, loan applications, company compliance, superfund maintenance, liaison with legal counsel, appropriate software advice and support, or just preparing your tax return. Carrazzo Consulting specialises in assisting high net worth individuals to reduce their exposure to tax during their lives – and for future generations. It combines the thoroughness and efficiency demanded by corporate clients, with a personal and highly responsive approach. To meet the needs of his clients, Paul Carrazzo has become Australia's leading tax adviser to the thoroughbred industry. He is the long-time tax feature writer for Bluebloods magazine, the resident tax specialist for Sky Racing's 'Bred To Win' and 'Connections' programs and presenter of numerous ground breaking horse tax seminars all over Australia, including the annual QLD Magic Millions and Sydney Newmarket tax seminars. With more than 20 years of experience in this specialist field, he helps horse owners and breeders with everything from business plans to tax audit assistance. TFG Financial Solutions is one of Australia's premier financial services organisations, offering a comprehensive range of services second to none. At TFG we believe that all clients should benefit from the very best financial services available. In line with this we have just recently become one of the few companies in the nation to receive FP9000 accreditation by SAI Global marked by the five red ticks. Read more about this here. With 3 Financial Planners, 2 Finance Brokers, 8 Accountants and a support team of 13, TFG Financial Solutions is a unique and well established company which allows us to efficiently and economically deliver to you the best in knowledge and service and be your complete financial solution. In mid December 2011 we moved to our exciting new offices on Level 9 of the Westfield Tower in Doncaster. With amazing 360 degree views and a brilliant fit out these new offices provide a great work environment for our staff which in turn allows us to provide the best possible service to you our clients (not to mention a great reason to book an appointment to check it out). Our accounting firm was established in 1977, providing services in accounting, self managed superannuation funds, auditing and all income tax and GST related matters. With over 30 years experience in public accounting and up to date training through regular attendance at professional seminars, we are able to provide effective, accurate and professional advice in a wide range of accounting, taxation and business matters. ZJL Partners offers a comprehensive range of taxation and financial services for individuals and businesses, both big and small. Collins & Co have 5 partners and more than 40 staff who provide the following services to their clients: Taxation Advice, Superannuation, Business Advisory, Audit, Succession Planning, Business Valuations, Estate Planning and Wealth Creation. We have the same skills as the large accounting firms for less fees and more accessibility to partners. Our business, professional and individual clients always receive the most insightful, innovative and expert financial advice from complex taxation issues to business accounting services and more. We start by working out your individual objectives and circumstances and then apply our accounting solutions for optimum outcomes. Led by highly respected industry professionals, our culture is formed on openness, trust and respect. Our success has a lot to do with our strong client relationships, clients' interests and financial wellbeing always our focus. Finnegan Partners Pty Ltd (formerly B T Finnegan & Associates Pty Ltd) was established by Ben Finnegan, CA, in October 2007, with the vision of providing proactive financial and taxation services for small to medium-sized business and self-managed superannuation funds. Our goal at Finnegan Partners is to relieve our clients of the burden of accounting and financial planning so that they can focus on what they do best. Client relationships are key at Finnegan Partners. Our team fosters personal, responsive partnerships with our clients, maintaining regular contact with them and endeavouring to respond immediately to their requests. Our aim is not to be a compliance factory, but rather to understand our clients' businesses and nurture long-term associations with them. The majority of our new business results from current client referrals, endorsing this relationship-focused approach. Finnegan Partners began its life in a single room in Burgundy Street Heidelberg, expanding to larger premises in Burgundy Street when David Finnegan joined the team in March 2010, before moving to its current home at 88 St James Road Heidelberg in January 2012. A proud member of the Institute of Chartered Accountants Australia (ICAA), Finnegan Partners' mission is to work with our clients to develop practical solutions - relevant to their individual business or personal situation – that will enable them to achieve their desired financial goals. Upfront Pricing - so you know what your annual accounting fees are going to be, no surprises. Guaranteed Delivery – we guarantee that our services will be delivered to you within an agreed time period, for example, within 30 Days for Business Financials and Tax Returns, within 24 hours to return calls and BAS’s within 14 days. Advice in plain English not Accounting jargon that can be confusing. Our clients appreciate that we are everyday suburban people that talk your language, to help you better understand tax and business issues that will help you run your business better. No question is a silly question, not asking them is. We don’t want you to leave a meeting with us mesmorised, we will always encourage you to ask as many questions as necessary. Tony Chartres & Associates, Certified Practising Accountants, employ qualified accountants and support staff to provide accounting, bookkeeping, financial planning, superannuation and business advice/consulting services to assist with all our clients business and personal accounting requirements. We believe our firm provides fast efficient and friendly service to our clients in all of the above areas. We pride ourselves in the work we perform and that we are always available to assist our clients with any matters they may wish to discuss. Since our formation in 1975 we have been committed to our client's success. Today KSR Partners employs over 20 staff with the technical knowledge to deliver sound advice and strategies to clients, assisting them to achieve their financial goals. Our vision has remained unchanged since the beginning. That is to be a highly progressive, one-stop business for our clients. We listen to, understand and fulfill client's needs. All the staff at KSR Partners are selected for their professional and personal fit. Their ability to distil information into succinct answers and clear cut solutions for clients is vital. Our team strives to build strong working relationships with our clients, which is what sets KSR apart. The strength of the relationships we build and maintain with clients is the cornerstone of our business. Our clients have been with KSR more than twice the industry average. At Banks Group, your business success and the professional advice we provide to help achieve it go hand in hand. We link you to the people best qualified to improve the bottom line of your business. Professionals who consult, advise and help you profit from our integrated approach. Professionals who utilise the latest technology and provide proactive value-added services. Each of our professionals is an expert in a particular field of accounting, business and finance, but critically, we all value the importance of working together. At Banks Group we respect teamwork. Our integrated approach ensures each client receives the best advice and solutions, specific to their needs. Banks Group tailors individual strategies for every single client. We take time to understand your needs, and once we develop strategies, we communicate these to you in simple, no-fuss terms. Karakinos & Co. Pty. Ltd. was established in 1993. Our firm is focused on providing Quality, Value & Service to all of our clients. We have successfully undertaken independent quality assurance reviews conducted by CPA Australia giving you the added security of dealing with a firm that complies and exceeds acceptable standards of work practice. North West Melbourne’s premier business consultants, Matthews Steer evolved from a one-man practice, to a partnership between Ken Matthews and Geoff Steer, to the appointment of two further partners – Adrian Misiano and Anthony Flapper – to the firm’s current team of more than 40 staff. 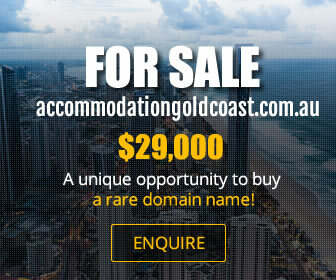 The principal partners of the firm are Mike Haberfield and George Kapiniaris. Mike is a Certified Practicing Accountant, a Fellow of the National Tax Agents Association and an Authorised Representative of Count Wealth Accountants. George is a Chartered Accountant, Certified Practising Accountant and Fellow of the Tax Institute of Australia. Together, Mike and George have over 40 years experience in blending Tax, Accounting, Business Services and Financial Planning advice to clients. Whether generated from business or employment, MG can advise you to enhance your income and leverage off it to increase your lifestyle, business and retirement wealth. Scott Partners are experts in getting clients into the cloud with our preferred provider "Xero". Be part of the information revolution in a secure, purposes built way. Being a small business ourselves has allowed us to refine and develop innovative services tailored specially for your business type. If you would like to leverage your business success with experience and innovation then read on to learn more about Scott Partners. At Scott Partners we aim to provide you with advice when your business needs it, not just when you ask for it. We help you manage every aspect of your business and because we establish a one-on-one relationship with each of our clients, our advice is tailor-made for your business. We've also developed our traditional auditing and accounting practices into innovative client-focused services. Our flexibility and adaptability ensure we help you get the best results. We fully understand your requirements, and ensure that you receive prompt, efficient service, and the right advice. ASR Partners is an Accounting Practice that provides a comprehensive range of traditional and innovative accounting and taxation services to individuals and small to medium sized businesses. The Partners have been in business for over 10 years and have built a base of loyal clients across a wide range of business sectors. Established more than 25 years ago by Leo Griffiths, and based in Cheltenham for over 12 years, we recently merged with Kathy Swadling’s accounting firm to become Griffiths Partners. Kathy and Leo, along with accountants Merryn, Kylie, and Christine, have a wealth of knowledge in all aspects of accounting, taxation, superannuation and audit. Magnus Victor Anderson was born in Carlton on 16th September, 1884. He worked as a prominent Accountant in Melbourne up until his retirement in 1956. He was a founding member of the Institute of Chartered Accountants in 1929 and succeeded E.V. Nixon at the University of Melbourne as a lecturer in Cost Accounting. He also served on the Council of the Australian Institute of Cost Accountants, having been State President in 1928 and 1946. Mr Anderson developed an interest in chess, and more particularly the collection of chess books, the first of which was bought in 1917 whilst on holidays in Perth. At the time of his retirement he had collected over 2,000 books which were subsequently donated to the State Library of Victoria. He worked at the State Library from 1956 until his death in 1966, during which time he increased the chess library to over 6,000 books. The collection today is the largest in the Southern Hemisphere and the third largest in the World. C&H Accounting Group began operating in 1994. Our Principal, Charles Hesse, leads a team of highly qualified Certified Practicing Accountants (CPA's), specialised in providing a high quality service. We offer a large range of services for your small to medium business, and family business accounting needs. We specialise in accounting, taxation, GST, BAS, auditing, general business and advisory services, companies and partnerships, Self Managed Superannuation Funds (SMSF), business and family trusts. See our Services page for more information. Our CPA's have the experience and access to tax research materials gathered from many sources to offer the very best service. We constantly update our tax knowledge to ensure that every tax return prepared is correct in every detail. The team consists of both property and accounting professionals. Our Accounting division assists the administration of our seven managed investment schemes through our Responsible Entity License and provides the financial due diligence for the $3 billion of direct property investments we have placed with over 8,000 individual clients. Simon Jones & Co is a firm of accountants based in Werribee in the western suburbs of Melbourne. The practice was established by Simon Jones in 1994 and his vision was to bring a 'big 6' level of service to Werribee for tax, accounting and business advisory services. Our team of experienced and highly qualified professionals share a common vision of understanding our clients’ needs and providing them with timely, high quality, tax, business and accounting advice. The team all live and work in close proximity to where our clients and business owners live and work and we understand the issues that affect their lives, investments and businesses. We understand that every client situation is unique, whether you are an individual grappling to understand complex tax laws, or a business wishing to grow your profits and achieve your goals. We have a wealth of tax, financial and business experience and our pro-active approach comes from the fact that we believe accounting is about a lot more than just numbers. We value our client relationships and investing in the best people who can deliver the best results for our clients. Cooper & Lockhart is a small family run company with a dedicated team. We have the essential skills and level of industry knowledge to deliver valuable guidance to our clients. Our team stays up to date with the latest accounting principles, small business issues and tax law through continuing education and related industry seminars. Each one of our team lives by, every minute of the day, it’s what helps us provide our personal service that make a real difference for our clients. We help you through life by identifying your financial goals, giving you the guidance to reach those goals so you can in turn enjoy what really matters, your life! Our strength is our strategic thinking and providing our clients with a holistic approach to financial management, in essence our strength is helping you achieve your goals.